After 2 weeks, items are subject to recall. Recalled items are due 7 days from date of email notification. 4 $0 if not recalled. $5.00/day if the item has been recalled. Recall notices are not sent for items that are already overdue. At 31 days overdue, the item will be assumed lost and a lost fee of $150.00 will be applied. Specialized items (multimedia, sound recordings, gov documents, microform, curriculum) Varies (check with library) 4 $0 if not recalled. U of A Peripherals lent with laptops: chargers, bags, mice, etc. Borrowers are responsible for matching standalone peripherals, such as chargers, to their personal devices. Each student or staff member may borrow one laptop at a time. Lost Charge: $150.00/item. Higher Damage or loss charges may be assessed based on cost, such as Laptops & Cameras (see Equipment Lending for more info). Before you pay, please contact us via the Fines Appeal / Account Inquiry form if you have questions about your charges. If requested by others, your borrowed items will be recalled by UofA Libraries. Check your email for a "Recall Notice" with revised due date. You have 7 days to return item(s) to the Library. Renewal: Items may be renewed if no other user has requested the item. See table above for maximum renewal limits. Items overdue for 31 days or more. Then items marked as lost and a charge of $150.00 applies. Higher loss or damage charges will be assessed on Equipment, such as Laptops & Cameras. Recalled material not returned by recall due date. Overdue fines. See rates in above table. Note: to a maximum of $31.00/item. Lost Book Charge: $150.00/item. Refund within 365 days of payment date if item found and returned to one of our Service desks. Please see Equipment Lending for replacement charges for equipment such as Laptops, Cameras, Peripherals, etc. Fine Appeals: If you feel your fine is not valid, please submit a Fines Appeal Form. Self-service machines: Credit or debit card payment only at machines in Rutherford, Cameron, Coutts (Education), John Walter Scott (Health Sciences), and Bibliotheque Saint-Jean libraries. InfoLink: Cash or ONEcard payment can be made in-person at all six (6) InfoLink locations. Credit or debit card payment is also available at the InfoLink ONEcard Service Centre (HUB mall) and the InfoLink Desk at Student Life Central (Lower Level SUB). Note: if paying with debit or credit card, $5.00 minimum required; if fine amount is less than $5.00 the balance will be added to your ONEcard. Please refer to InfoLink website for hours of operation. By Phone: For those who do not have a CCID login or online access, credit card payments can be made by phone by calling the Library Financial Services and Analysis Office at 780-492-8320, Mon-Fri, 8:30-4:00. If you leave a voicemail, provide only your name and phone number. Do NOT leave your credit card number on the voicemail. FSA will normally return calls on the same day, except for messages left towards the end of business hours. When you pay your fine in full, we will lift the encumbrance on your record. 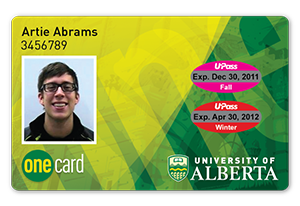 If your encumbrance is not lifted within the expected time, please contact any UAlberta library public service desk. Report lost or stolen ONEcards at My ONEcard Account. Get a replacement card from the ONEcard Office. Your CCID is your key to access the online information you need for your work. eBooks,ejournals: get them anytime, anywhere. Use of the University Library is a privilege with associated responsibilities for all clients. Within the parameters of the policies, no user should be unduly disadvantaged through the use or abuse of the library by another client, whatever client group.